Welcome to Our Lady and St. Edwards Academy where we put children at the centre of everything we do. 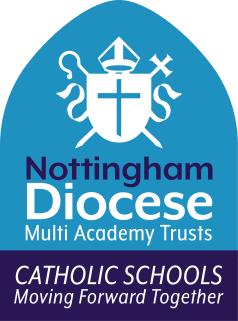 In our Mission Statement we are inspired by the teachings of St Francis with whom the school and parish have had close links over many years; up until 2014 a Franciscan Friary was situated next door to the parish church. St Francis asked that we ‘Live the Gospels’; we do this by… Growing in love for God and each other; showing respect, being compassionate, being able to forgive and giving our best in all that we do to achieve our goals. Staff are caring and supportive, children are happy; they want to be here and like coming to school. Each day is treated as a ‘new’ day and a new chance for everyone to shine. Our curriculum gives our children the opportunities to become independent learners. Themed topics run throughout the year and parents are encouraged to take part and be involved. We also offer ‘out of school’ provision with a Breakfast club in the morning and a variety of different after school clubs run by our Extended Services Team throughout the week; holiday clubs are also on offer. To get a ‘feel’ for the school we always encourage parents to visit, meet the staff, pupils and take in the environment which is as important to us as the teaching and learning; we want pupils to be proud of their school and treat it with respect. Guided by Jesus in all that we do, together we are one… one academy… one community… one world. We believe this and live this message out in our daily lives through work, play and friendship.